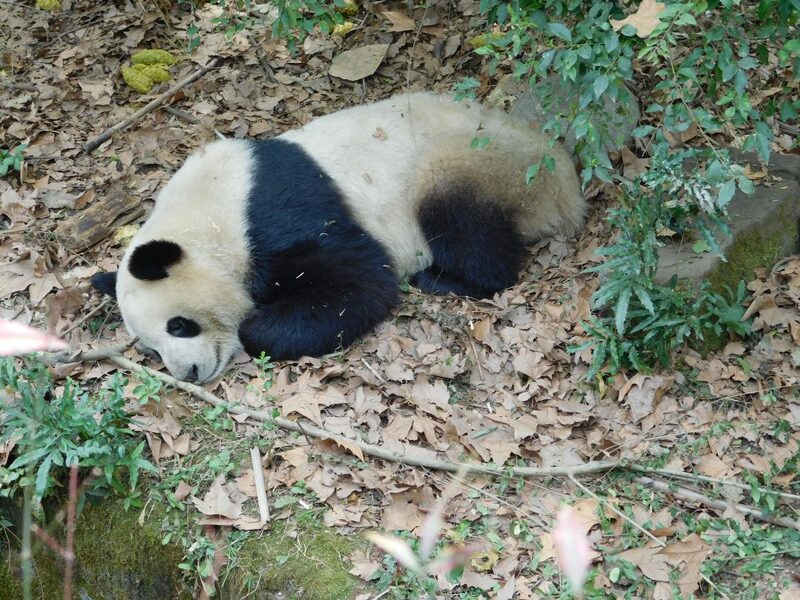 Want to see Pandas as close as possible on their natural environment but don’t know where? 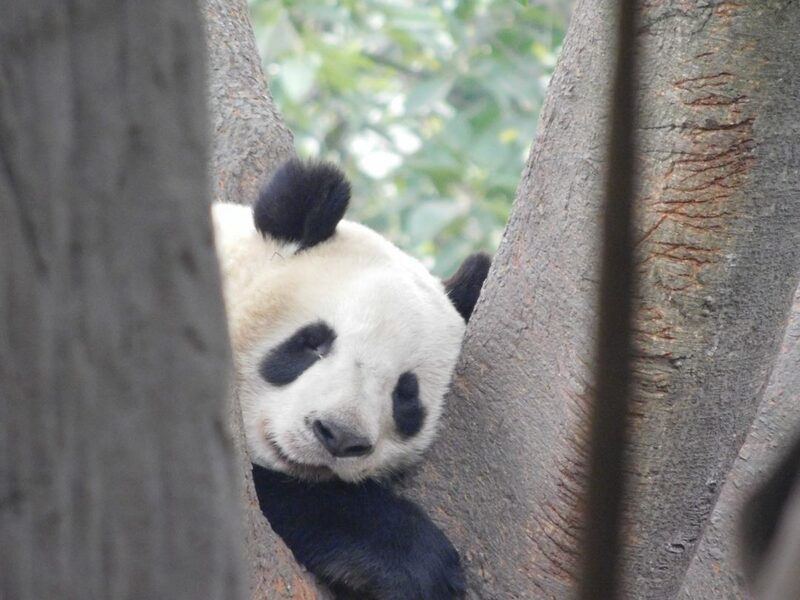 Everyone knows about this cute animal but how many do realise that the giant panda has recently been removed from the endangered species list? 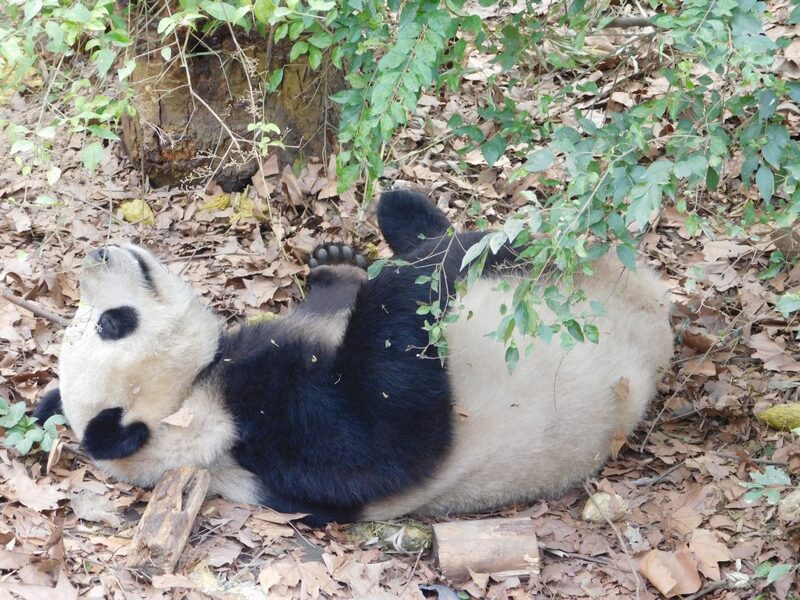 Panda is now considered ”just” vulnerable of extinction thanks to the amazing work of the research centres around Sichuan Province, China, where scientists, organisations and everyday people have been trying for decades to increase the pandas’ population. 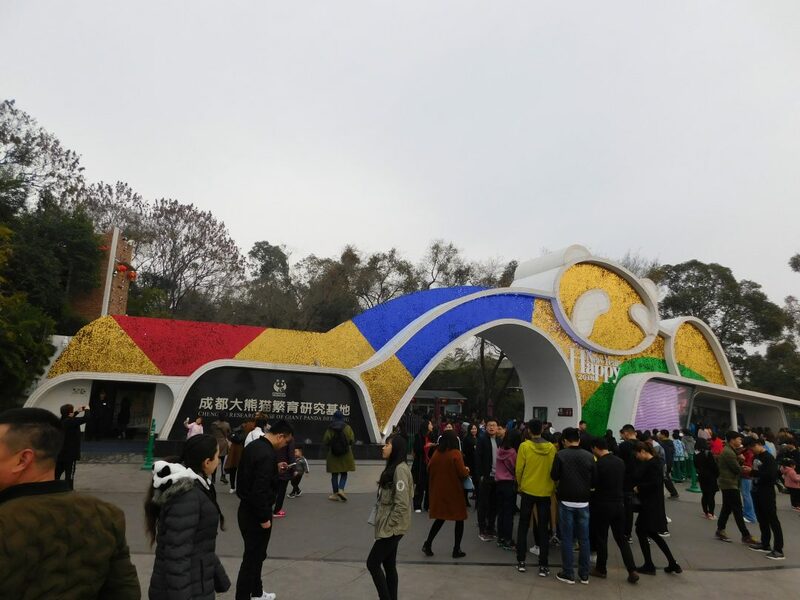 One of these organisations is the «Chengdu Research Base of Giant Panda Breeding» that we just visited for a day full of pandas and we did it by ourselves without a pricey (and unnecessary) tour! 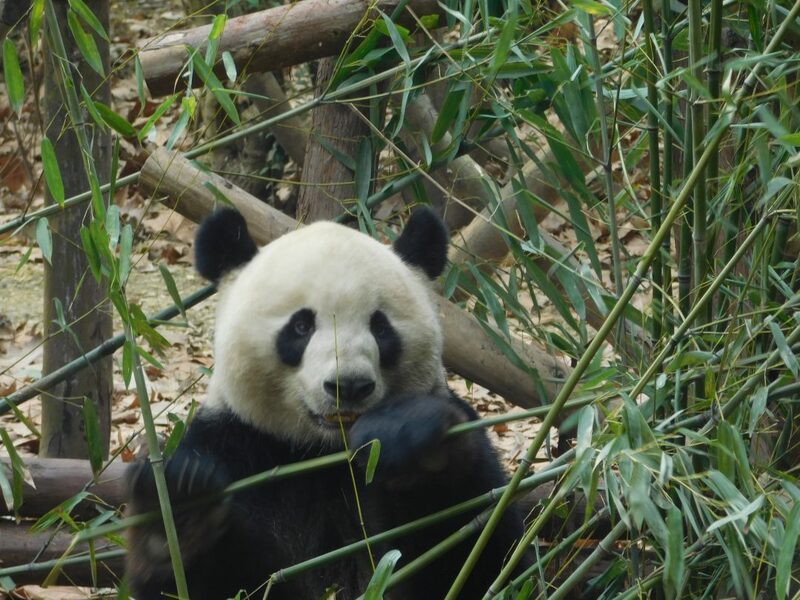 There are many Giant Pandas Research Bases within Sichuan Province but this is the closest to Chengdu city (the capital of the province) and one of the best for 2 reasons: the animals (at least in wintertime) are kept outside and not in cages and the conditions are as near as possible to their natural environment (not like in the zoos) and secondly and the most important… the staff has proved that really makes the efforts to increase the population of the pandas. 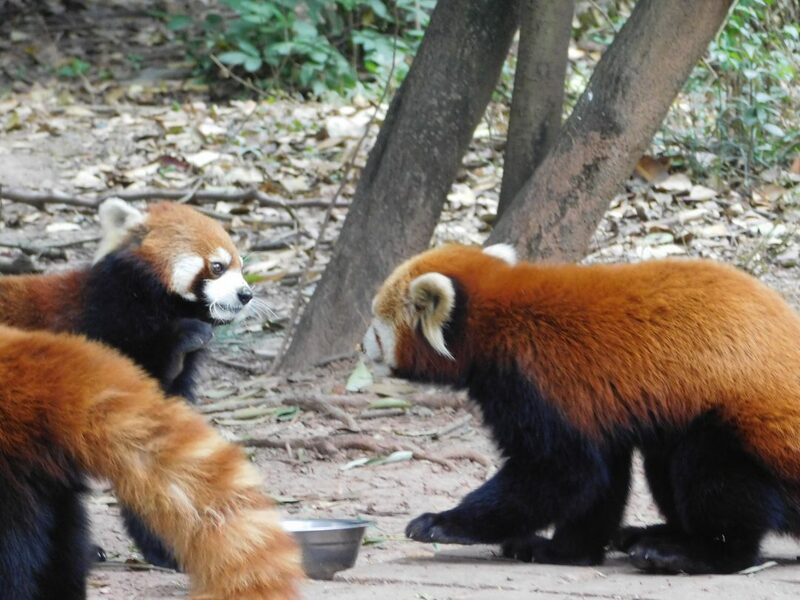 They started 20 years ago with 6 pandas and they have raised 146 so far! 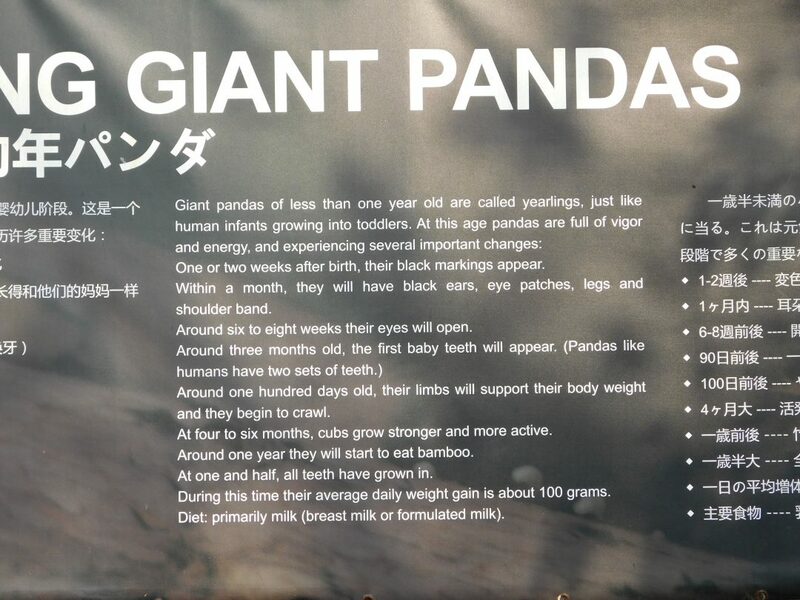 Taking into account that a female panda gives birth to 1 baby per year (and not even every year…) this number is incredible! Their lunch time lasts half of the day! In love with this tongue! Come on guys! Wake up!! 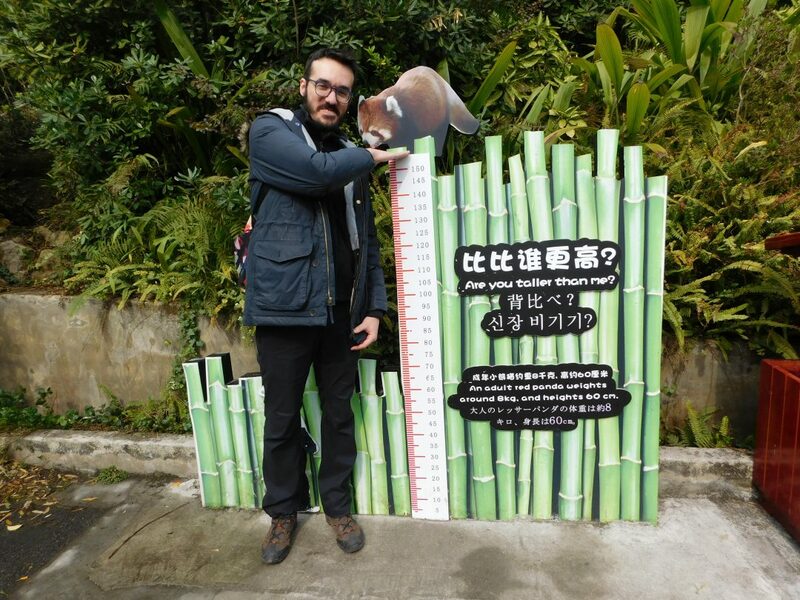 Dimitris is undoubtedly taller than any Panda! … you may end up spending 6-7 hours here without even noticing! Did you talk to me? Don’t you see I am eating? 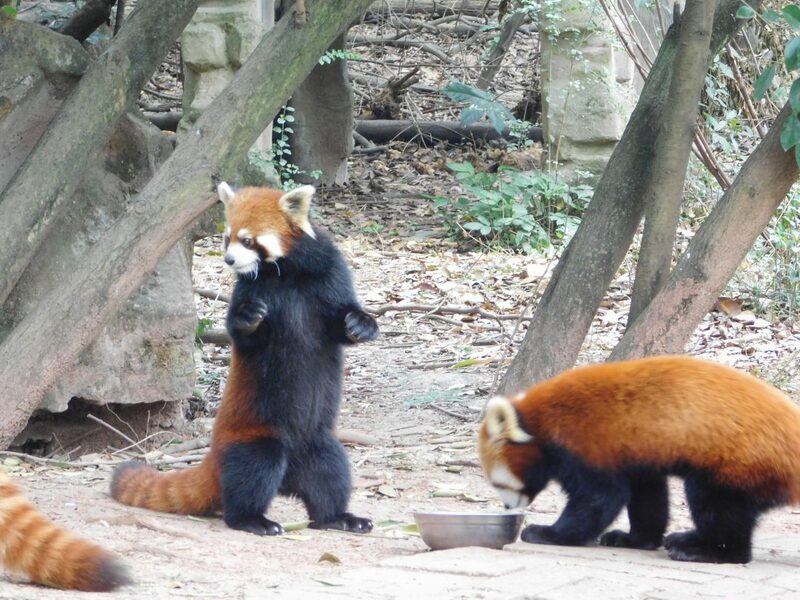 The red panda is so fluffy! Amazing colours (and attitude! ), right? 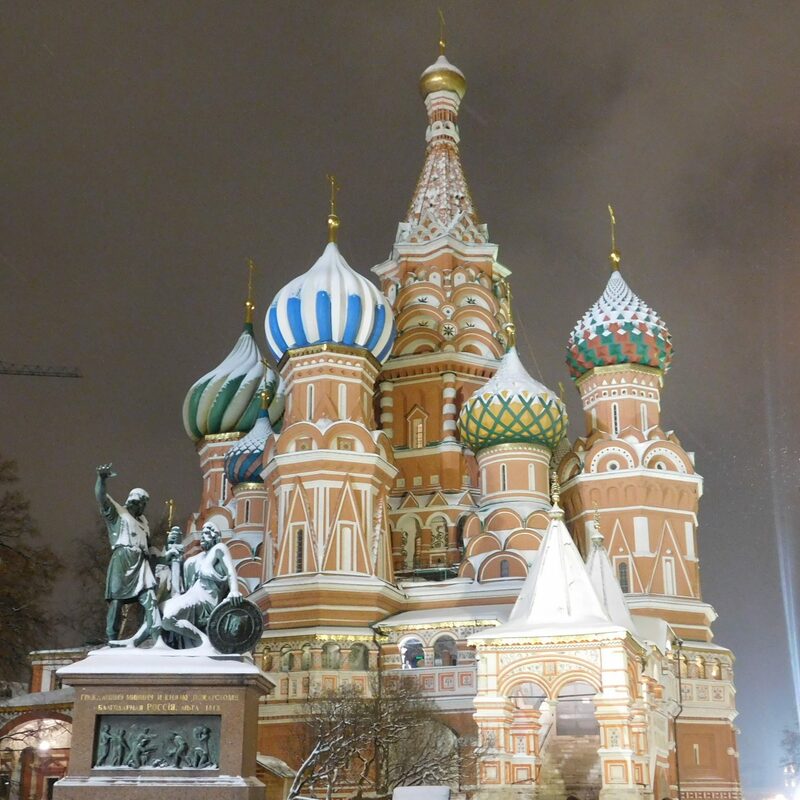 Considering how expensive is to visit the area with a tour operator, we decided to arrange the excursion independently. 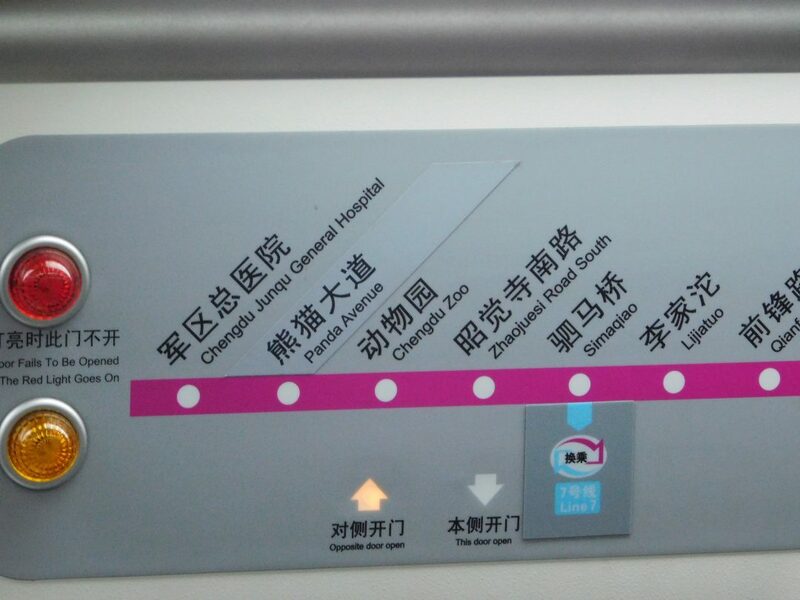 As we are currently based in Chengdu and thanks to the metro that recently launched its third line, the journey is extremely easy and much cheaper (details below)! How can you resist such cuteness?! Unfortunately, having animals in captivity is not ideal. 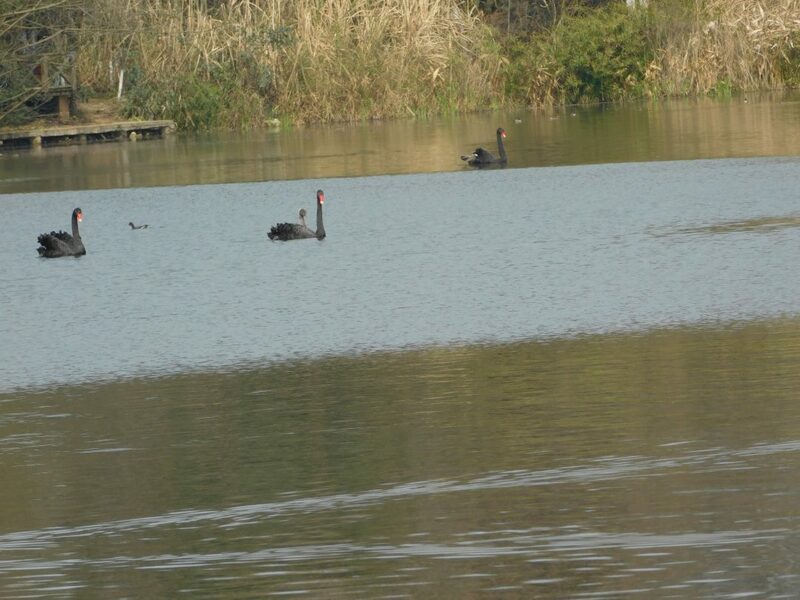 Wild animals should remain wild and not in dependence from the humans. People ought to take care of the environment before the species turn into «endangered». 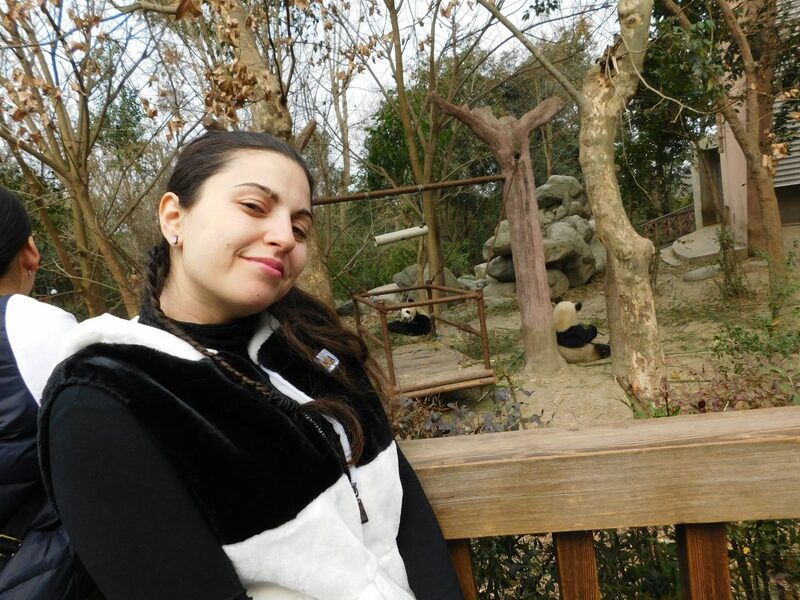 In the terms of ethic, I consider these captive pandas the «sacrificed» generation so their progeny will be able to live back in nature…or even to exist! 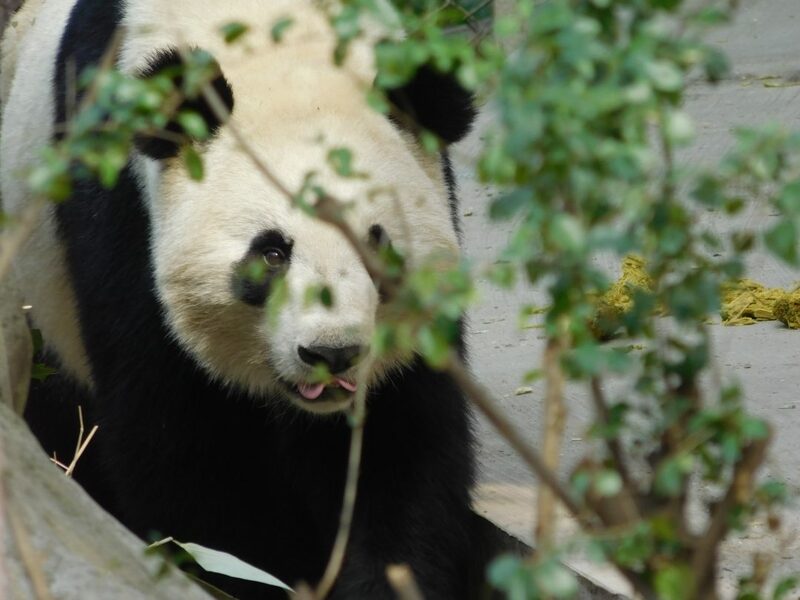 Hence, at present, these pandas are helped to breed and expand their population and some of the youngest ones have already been released back! The balance is very tricky though. If we don’t visit these bases the pandas (and the scientists) will be relied on government / companies funding only, making them even more vulnerable. On the other hand, if we keep visiting them, the pandas at some point may be remained in captivity just for the mass earnings and not for their own good. However, without proper environmental education the second possibility looks very unlikely! A future with no endangered species list seems unrealistic, right? … but already too tired of people! 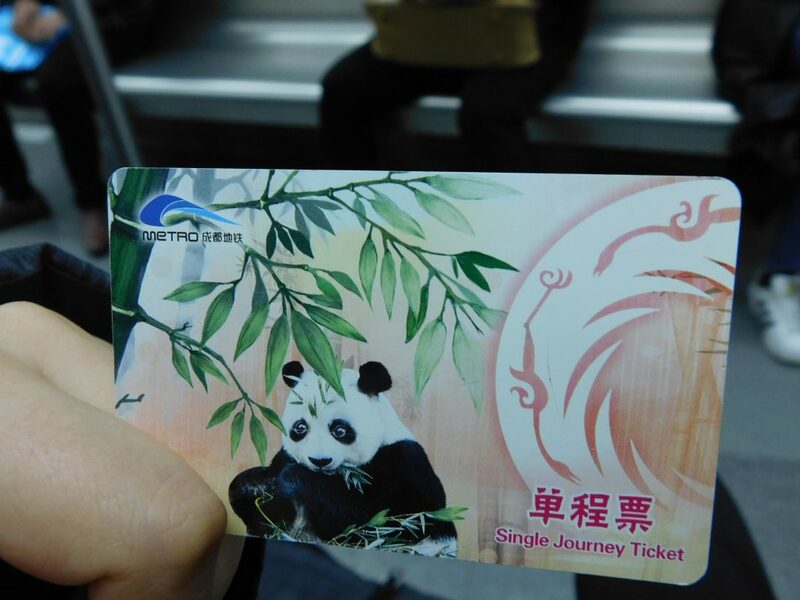 From Chengdu take the metro line 3 and get off at Panda Avenue (price 2-8 CNY = £0.2-0.9 depending on the first station) . Take the exit A and ignore the «panda buses» that are outside – these are touristic and far more expensive! Instead, walk to the main road (about 50 meters) where you turn left and find the bus stop. Hop on the 198 or 198A (2CNY!) 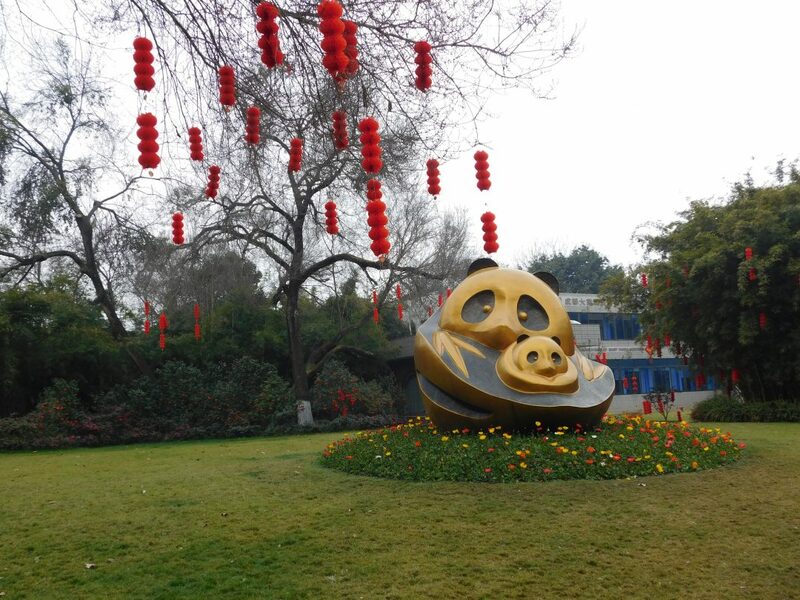 and hop off at the Xiongmao Jidi in about 15 minutes – the entrance is on the other side of the avenue! Not to worry if you don’t understand the Chinese alphabet – you will easily recognise the stop due to the crowds and the touristic buses that are parked everywhere! The entrance costs 58CNY (£6.6) and half price for (even international) students! Easy and cheap!! In the meantime let’s enjoy this amazing creature! What do you think? Would you visit this place? 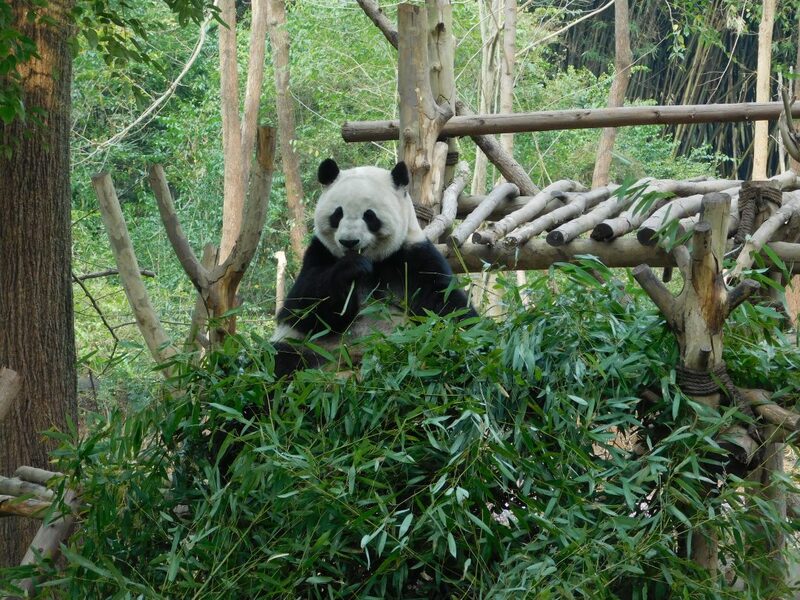 I lived in China for 6 years and never made it to Chengdu. It’s such a shame. I’m glad they’re not on the seriously endangered list anymore, and hopefully, this will improve even more. They are so cute! Such a shame indeed! Hopefully you will come back one day! I can’t make it clear enough how cute they are! Yesss they eat all day! So funny! 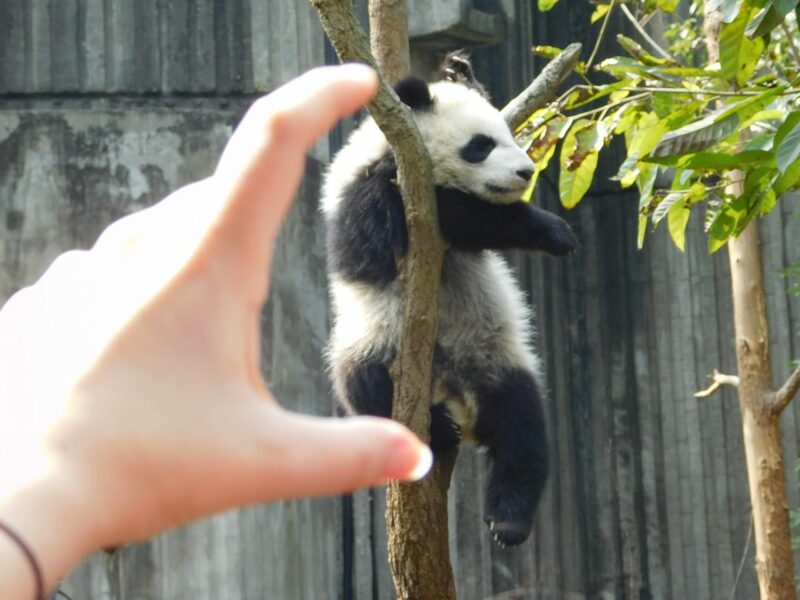 They have a volunteering program where you can pay around 300 € and hold a panda for few minutes and take a photo too. I don’t find it really ethical but they raise lots of money for their breeding programs so it’s difficult to judge. This is soo cutttee. 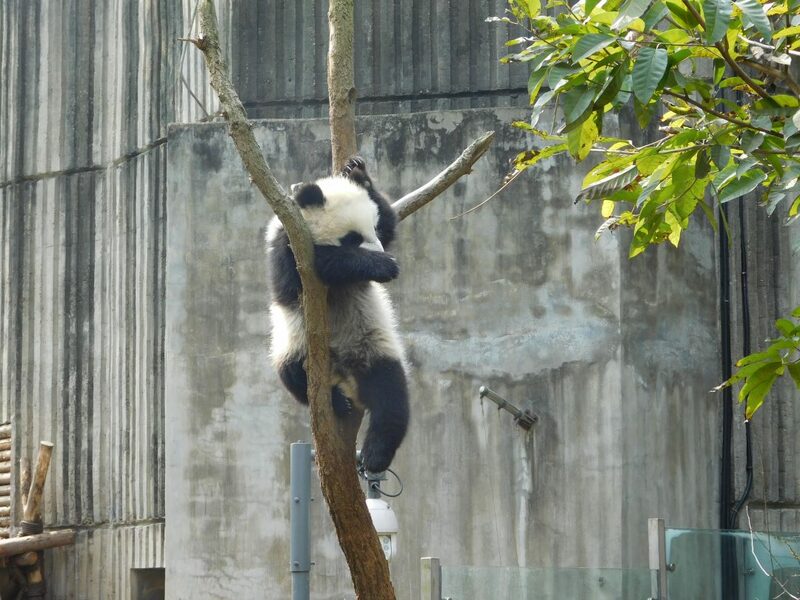 And pandas are so frikking cute man. I was in denmark and i missed the panda there. They haven’t got it yet. But they are super cute. And ypur article is full of love for them ? 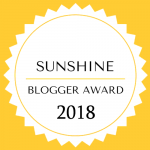 Thanks for reading too! Yes, I felt so happy with these news! As I was telling you on insta, this place is on my list! Right now, I’m the planning stage and unfortunate there are three contenders…Xian/Chengdu..Tokyo/Kyoto or Seoul! Ugh I know!! I am really hoping for the Xian/Chengdu combo! I can definitely recommend this route for a 10days trip (or more depending on your available time) the fast train between Xian and Chengdu is just over 4 hours, totally doable! Μα είναι τόσο γλυκούλία!!!!!???? ?ελπίζω να τα δω και εγω από κοντα?????? Ναι τα άτιμα!! Μακάρι ? ? Omg!!! 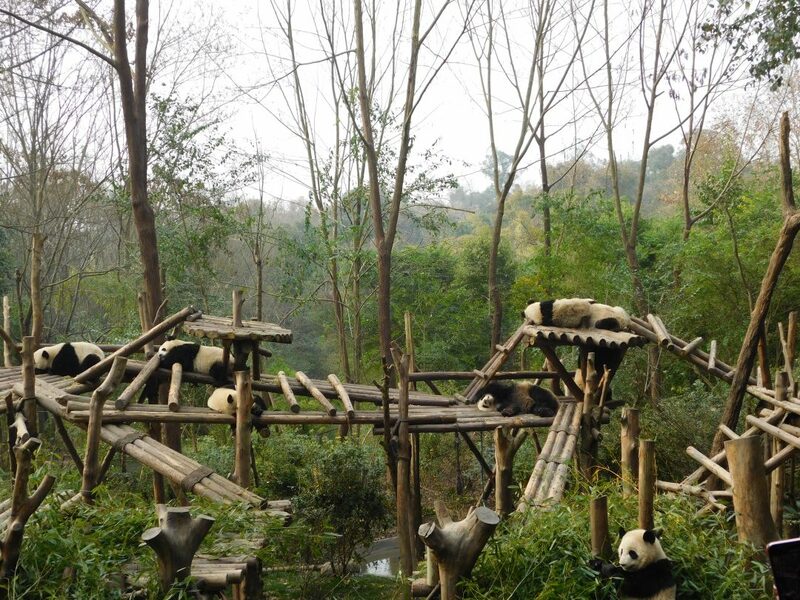 I’ve been dying to go here and see the pandas! I’d love to hold one in real life too, they look so cuddly. 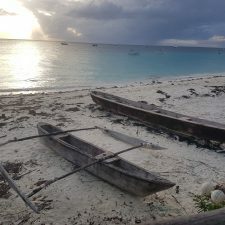 I’m jealous you had such an amazing experience, it looked fun and I’m glad you highlighted the importance of the conservation despite the pros and cons. OMG how sweeeet!!! It’s great to learn that they’re off the endangered species list, hurray! I see videos online about being a panda hugger to provide the young cubs with warmth and support. If that’s really a thing, I’d love to provide some cuddles! Error: Error validating access token: Session has expired on Tuesday, 02-Apr-19 16:48:27 PDT. The current time is Thursday, 25-Apr-19 11:46:54 PDT.